For the individual traveller as well as for groups, we offer a great selection of quiet and luxurious villas with private pools, excellent quiet apartments, studios and small hotels. 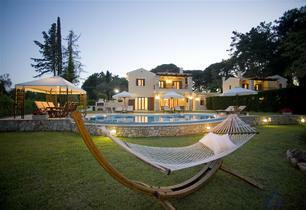 All these beautiful properties are situated in the most peaceful locations, close to the nicest sandy beaches on Corfu. 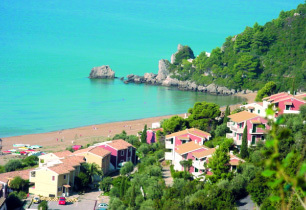 Booking your ferry from Italy to Greece through us, you save 4% of the official internet price! Don't forget to compare our low prices for car rental - starting from €19 a day (full insurance and free km). We also offer a number of sailing yachts, for hire with or without skipper, for one day or longer excursions around Corfu and nearby Ionian islands.